A few Roofing 85253 projects we have enjoyed doing over the years. Another fun one was a Redland’s Tile (Bacon Blend) with lead flashings. This blend is timeless and really blends into the mountainside. Look further down our Roofing 85253 page for more details. Roofing 85253 project would not be complete without a real natural slate tile roof by Triangle Roofing Company, complete with real Copper flashings. Mansion with China Slate tile roof with Copper gutters. Foam and Coating is Triangle Roofing Companies foundation. 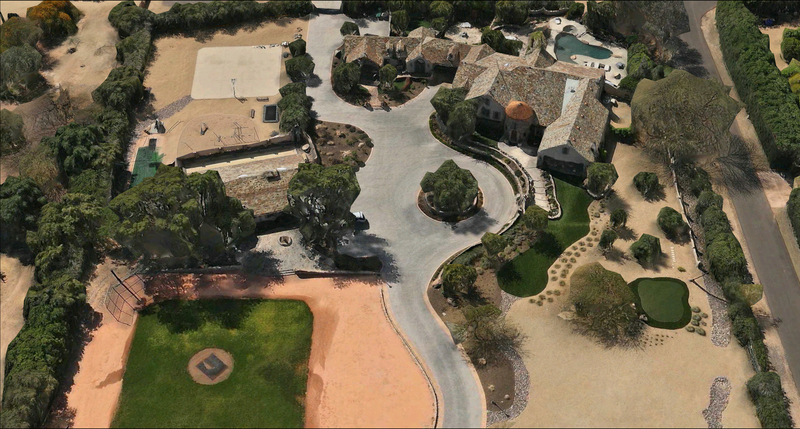 We take great pride of our craftsmanship we put into every Paradise Valley roofing project. Here is one of our Foam and Coating systems. How long have you been a Paradise Valley Roofing Contractor? Look for a well-established Paradise Valley roofing Contractor and check it out with your State’s Registrar of Roofing Contractors. They can tell you if there are unresolved consumer complaints on file for roofing 85253. 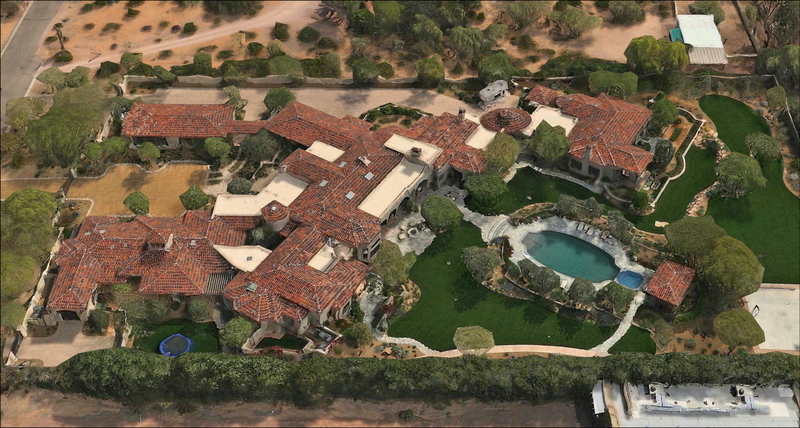 Are they licensed and registered with the state as a Paradise Valley, AZ Roofing Contractor? While most states license roofing contractors. In addition licensing can range from simple registration to a detailed qualification process. Also, the licensing requirements in one locality may be different from the requirements in the rest of the state. Therefore check with your local building department or consumer protection agency to find out about roofing licensing requirements in your area. If your state has licensing laws, ask to see the Paradise Valley roofing contractor license. More so make sure it’s current. 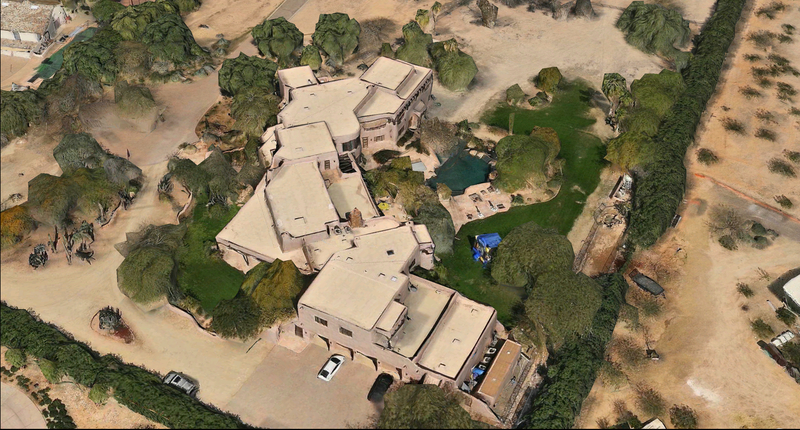 How many Paradise Valley projects like mine have you completed in the last year? Ask for a list. This will help you determine how familiar the Paradise Valley roofing contractor is with your type of project.Will my project require a roofing 85253 permit? Typically a re-roof job does not require a roofing permit but it varies from State to State so check to see if you need one. New construction is permitted and in most cases the local building department AZ 85253 has already approved the application of the roof as drawn in your plans. Rather than “wonder” we suggest checking with your Paradise Valley, AZ building department with any questions you might have. Further more a Paradise Valley roofing contractor should be able to give you the names, addresses, and phone numbers of at least three clients in Paradise Valley, AZ who have projects similar to yours. Ask each how long ago the project was completed and if you can see it. Also, tell the contractor that you’d like to visit jobs. Who will be the supervisor in charge of the project? What type of people will be working on my home? Hope you have enjoyed our Roofing 85253 page.